The Aam Aadmi Party (AAP), which has accused the Election Commission of “running away from a no-holds-barred hackathon”, is unlikely to take up the Commission’s challenge to demonstrate that its Electronic Voting Machines (EVMs) can be tampered with. In a letter to the poll commission, AAP said it had promised a hackathon but with “rules and regulations”. “Hackers are invited to test the security of any system, using any tools available. Such ethical hacking is to help understand loopholes so that they can be removed in the future,” it said. It wondered why the EC — “an institution that has always protected democracy” — was not ready for an open hackathon to safeguard the country’s election process. The letter, to Chief Election Commissioner Nasim Zaidi, was in response to EC’s rejection of AAP’s demand that it be allowed to “tamper” with the EVM motherboard at the challenge. “Why is the Election Commission running away from no- holds barred hackathon,” it asked. Following this, AAP is unlikely to participate in the EVM challenge on June 3, party sources said. The last date to participate in the exercise ends on Friday. “You have said that tampering or replacing the motherboard of an EVM would mean that it is no longer the same device. 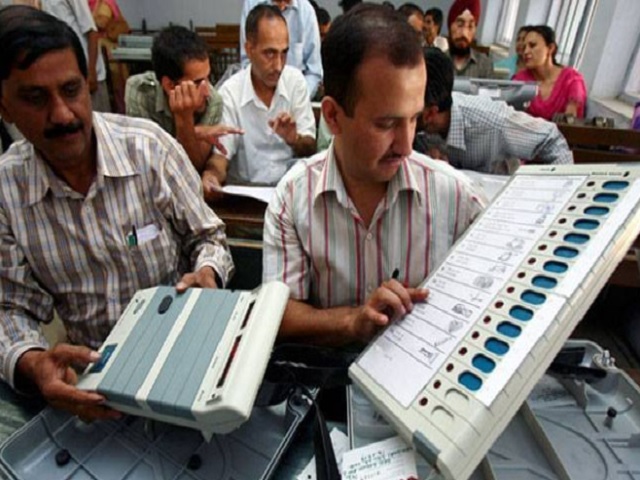 (But) how would you know that the motherboards of the existing EC machines have not been replaced or tampered with,” the letter, written by AAP National Secretary Pankaj Gupta, asked. It said if the EC was so confident that an EVM was tamper-proof, it should allow the machines to be hacked, without imposing any rules. The EC said the EVM would lose its originality if changes were made to its internal circuitry and it would not be the EC’s EVM. Earlier this month, AAP had “demonstrated” how EVMs could be manipulated in a special Delhi Legislative Assembly session. The EC had then said the demonstration to prove that the machines could be hacked was carried out on a “look alike” EVM and not on the one used by the commission. “If the machines look the same, behave the same till some codes activate the changed programming, then how do you know whether any tampering has taken place on the machines in your possession,” Gupta asked.